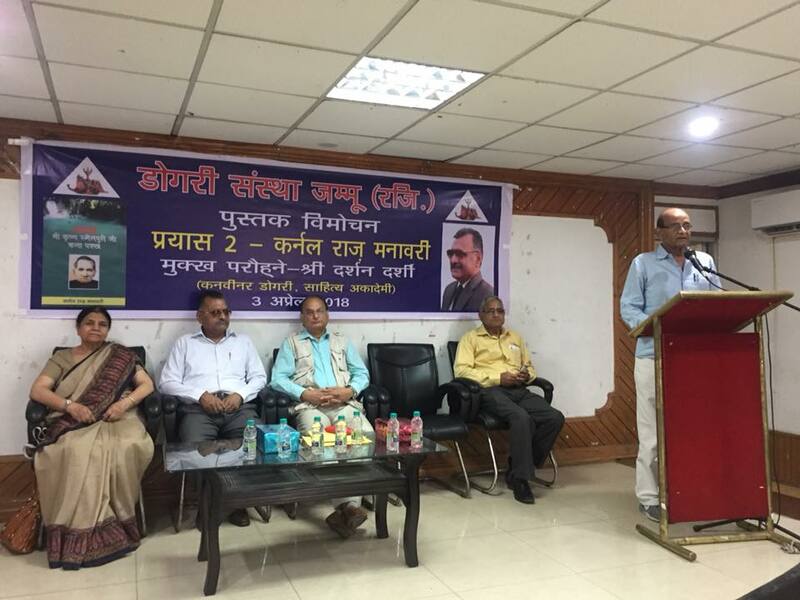 Dogri Sanstha, Jammu organized release of a book ‘Prayaas-2’ by Col. Raz Manawari containing critical analysis and evaluation of ghazals written by legendary poet Krishan Smailpuri, who is considered to be one of the pioneers of ghazal writing in Dogri. 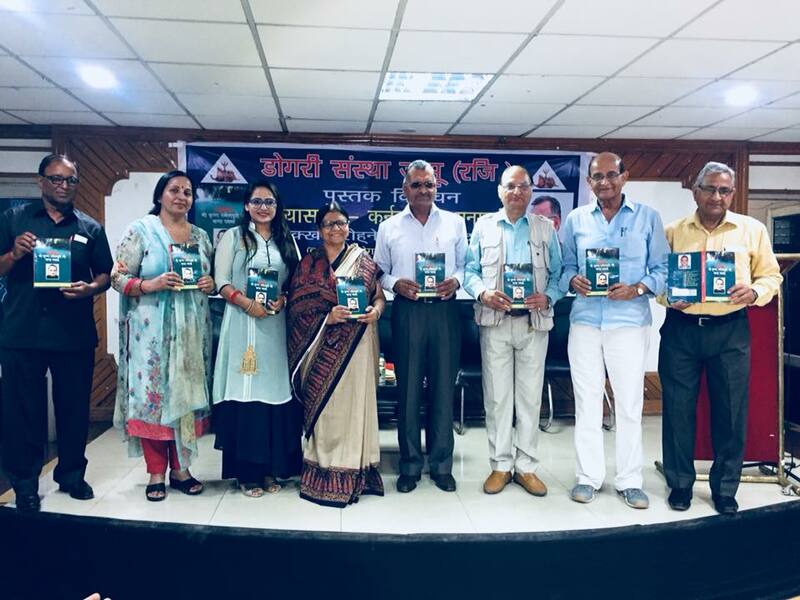 The book mainly concerns the evaluation based on the grammatical principals of ghazal writing. Darshan Darshi, who is the convener of Dogri Advisory Board in Sahitya Akademi, was the Chief Guest on this occasion. Himself a well-known ghazal writer, he appreciated this academic endeavour of Col. Manawari, which can prove to be very instructive for other ghazal writers and can improve the quality of Dogri poetry. He cited portions from the book to elaborate on the scholarly treatment of the subject by the author. 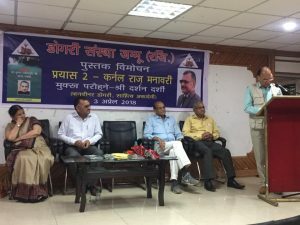 Earlier, Prof. Lalit Mangotra, President of Dogri Sanstha, while welcoming the audience said that it auger well for Dogri that books on diverse topics and new subjects are being written in Dogri which indicates the maturity which Dogri literature is attaining. 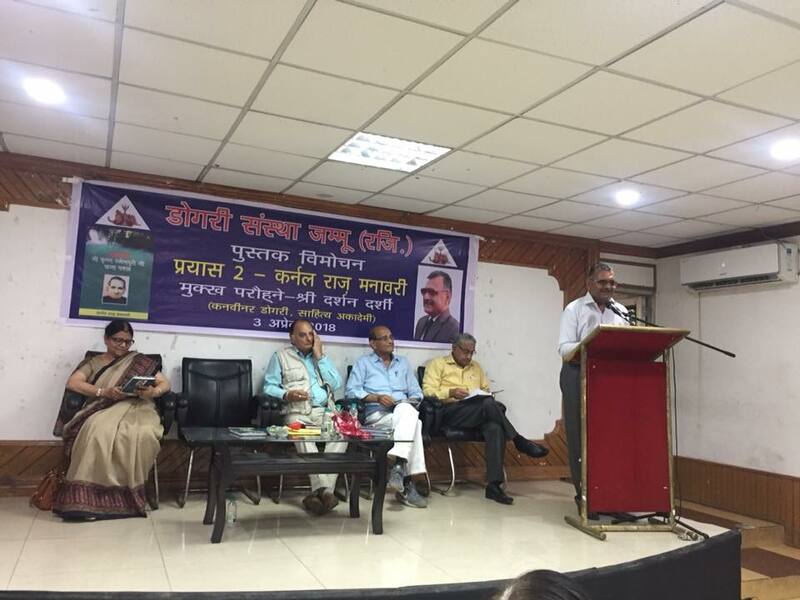 He said, almost all Dogri poets are writing ghazals and this book will act as a guideline for them. He also shared with the audience that the Hon’ble State High Court has directed the government to implement the teaching of Dogri in all schools of Jammu from class one onwards, which, he said, could be a turning point in the history of growth of Dogri language and literature. 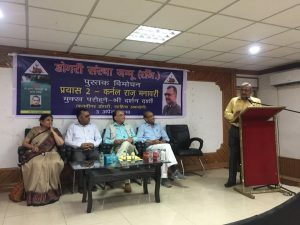 The program started with Col. Manawari sharing with the audience various issues that confront Dogri ghazal based on his study of Dogri Ghazal in general and Krishan Smailpuri’s ghazals in particular. 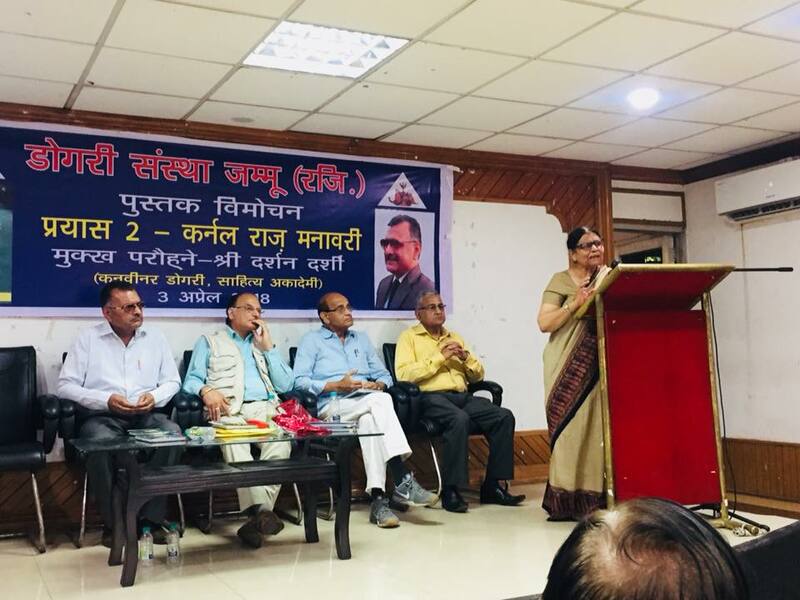 After initiation of discussion by him Prof. Veena Gupta; a well known scholar and critic, and Susheel Begana; a prominent Dogri ghazal writer responded to issues raised by the author through their presentations. An engrossing exchange of views followed which kept the audience fully involved in the proceedings. The program was conducted by the General Secretary of Dogri Sanstha, Dr. Nirmal Vinod; an established poet in his own right, who also intermittently contributed to the discourse through his valued views. 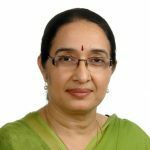 Dr. Chanchal Bhasin; Secretary, thanked the audience which included writers, scholars and prominent citizens. 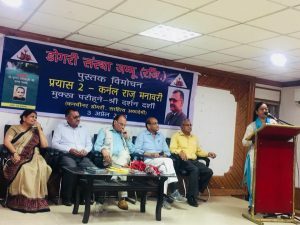 She also thanked the electronic and print media.